This machine was spotted on my way home to Columbia, SC after a week-long workshop at Penland, NC. I am directionally challenged and often turn left when I should turn right and vice versa. This doesn’t present a problem because I know I’ll find my way eventually and the added bonus is I often blunder into cool scenes like this one. This combines TWO of my photographic fascinations. The obvious one is the Coca-Cola machine. 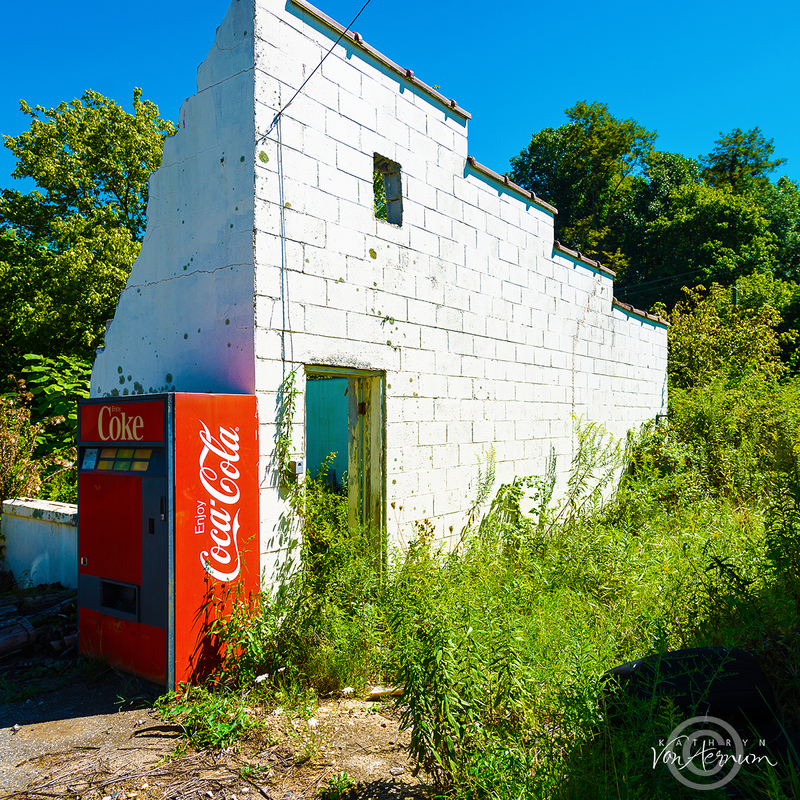 The other is a theme I call, “Reclamation,” which is the reclaiming of abandoned buildings by Mother Nature. You can click on the image to see it larger.